SAN FRANCISCO, April 11, 2019 /PRNewswire/ -- Hagens Berman Sobol Shapiro LLP reminds investors in Weight Watchers International, Inc.
Shares of Weight Watchers plunge after JPMorgan analyst Christina Brathwaite lowers her target price for the stock to $12 and maintains her underweight rating. NEW YORK, April 9, 2019 /PRNewswire/ -- Pomerantz LLP announces that a class action lawsuit has been filed against Weight Watchers International, Inc.
We're buying more shares of Blue Apron Holdings ahead of earnings and purchasing more Alkaline Water to improve our cost basis. NEW YORK, April 2, 2019 /PRNewswire/ -- Rosen Law Firm, a global investor rights law firm, announces the filing of a class action lawsuit on behalf of purchasers of the securities of Weight Watchers International, Inc. Sometimes dull action like this can be good for trading. We're taking a new position in Blue Apron Holdings after booking a healthy profit on our first go-around with the meal kit company. NEW YORK, April 1, 2019 /PRNewswire/ -- WW (NASDAQ: WTW) - the new Weight Watchers - today announced that Kim Seymour has joined the Company as Chief People Officer, to lead the Company's People function globally for approximately 18,000 employees. 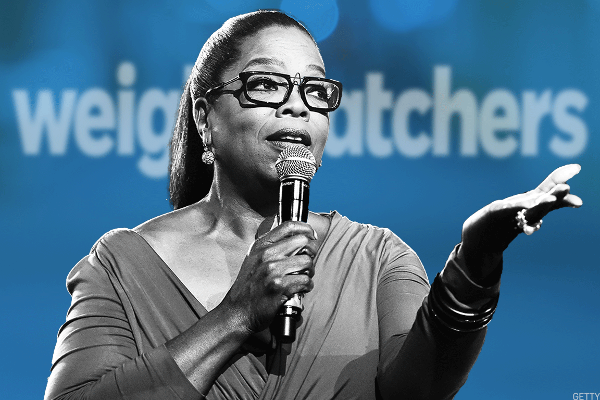 Faruqi & Faruqi, LLP, a leading national securities law firm, reminds investors in Weight Watchers International, Inc.
New Marketing Campaign Features Winfrey Speaking with WW Members About Why "It Works"
RM LAW Announces Class Action Lawsuit Against Weight Watchers International, Inc.
BERWYN, Pa., March 20, 2019 /PRNewswire/ -- RM LAW, P.
Investors in Weight Watchers International Inc saw new options become available this week, for the May 17th expiration. At Stock Options Channel, our YieldBoost formula has looked up and down the WTW options chain for the new May 17th contracts and identified one put and one call contract of particular interest. Rosen Law Firm, a global investor rights law firm, reminds purchasers of the securities of Weight Watchers International, Inc.
NEW YORK, March 11, 2019 /PRNewswire/ -- Faruqi & Faruqi, LLP, a leading national securities law firm, reminds investors in Weight Watchers International, Inc.
NEW ORLEANS, March 8, 2019 /PRNewswire/ -- Kahn Swick & Foti, LLC ("KSF") and KSF partner, former Attorney General of Louisiana, Charles C.
Law Offices of Howard G. Smith announces that a class action lawsuit has been filed on behalf of investors who purchased Weight Watchers International, Inc. The Schall Law Firm, a national shareholder rights litigation firm, announces the filing of a class action lawsuit against Weight Watchers International, Inc.
Rosen Law Firm, a global investor rights law firm, announces the filing of a class action lawsuit on behalf of purchasers of the securities of Weight Watchers International, Inc.
Glancy Prongay & Murray LLP ("GPM") announces an investigation on behalf of Weight Watchers International, Inc.
NEW YORK, March 5, 2019 /PRNewswire/ -- Pomerantz LLP is investigating claims on behalf of investors of Weight Watchers International, Inc. The market is pinpointing partnerships as the prime movers of Kohl's stock. Robbins Geller Rudman & Dowd LLP Files Class Action Suit Against Weight Watchers International, Inc.
Jim Cramer says if you focus on what's going right, you'll sleep better and do a lot better with your money, too.